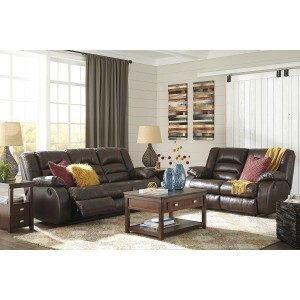 Item Description: Bring home ultimate comfort with the Levelland reclining sofa and loveseat. Recline back in infinite positions of relaxation. Padded cushions on waterfall back design and pillow top arms offer plenty of support. 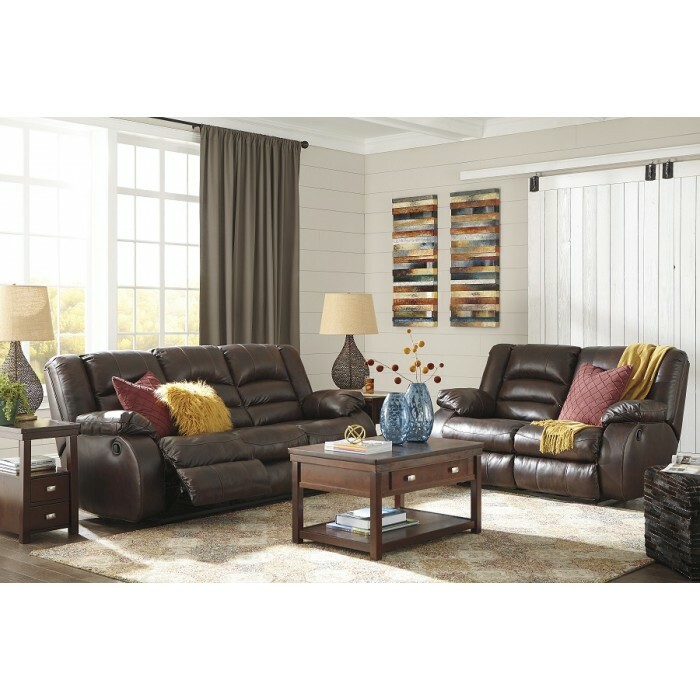 Top it all off with 100% leather in the deep seating area and a two-tone warm brown color effect.